exceptional programming, gentlemen - a stand-out among stand-outs. the homies have been alerted - 874 to the top of the queue. WeFunk keeps me smiling all day! Thanks to you all. Love, Peace and Disco! 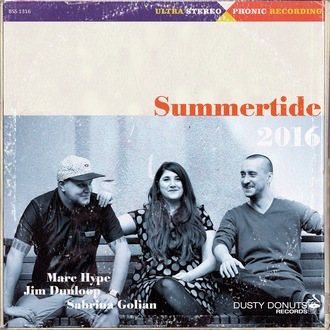 Marc Hype, Jim Dunloop and Sabrina Golian deliver another high octane mix with "Summertide 2016", featuring a standout Fela rework by Teck-zilla, tasty Dusty Donuts edits, airtight disco grooves by Bobby Thurston, and the vocal version of Cliff Nobles' instrumental monster "The Horse". Plus: Modern funk all-stars join forces on "The Boys Are Back", Audio Push channels A Tribe Called Quest on "Check the Vibe", and TIMEKODE drops a poignant remix for our troubled times. DJs & GUESTS DJ Static, Professor Groove, Marc Hype, Sabrina Golian, Jim Dunloop / RECORDED September 23, 2016 / HOSTING PJ, Mike, Oliver & daduke. You can help too!